We here at the Super authors blog would like to make our readers aware of a very special event that happened this week. is not only compelling, but pushes the boundaries of genre fiction. This book stands out from all the others reviewed that month, in the magazine issue and on the website. 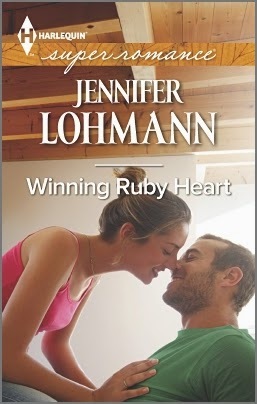 The best romance novel for the month of September, as chosen by the editors of RT, is none other than WINNING RUBY HEART by Jennifer Lohmann. And do you all want to know why this is doubly/triply/OMG amazing? Because, dear readers - this marks the FIRST time that the Seal of Excellence has ever been awarded to a category/series romance. chosen as the best of the month. To say we're proud of Jennifer is putting it mildly. 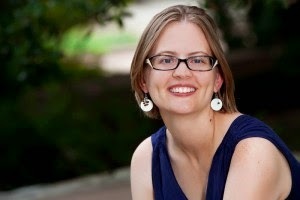 So here's a giant WOOOOOOHOOOOOOO, JENNIFER from the rest of the Super authors. Readers, please chime in and add your congratulations. It's celebration time! Thank you for posting this, Kris! I'm extremely excited and humbled to have gotten The Seal of Excellence and amazed that Winning Ruby Heart was the first category novel to get one. I have your book sitting here to read, hopefully within the next couple of weeks. I can hardly wait!!! Congrats that is wonderful news!!!! Congratulations, Jennifer! So well deserved. I'm thrilled for you and the Superromance series. Congratulations Jennifer! That is wonderful! I have not read your book but I will as soon as I go and order it.